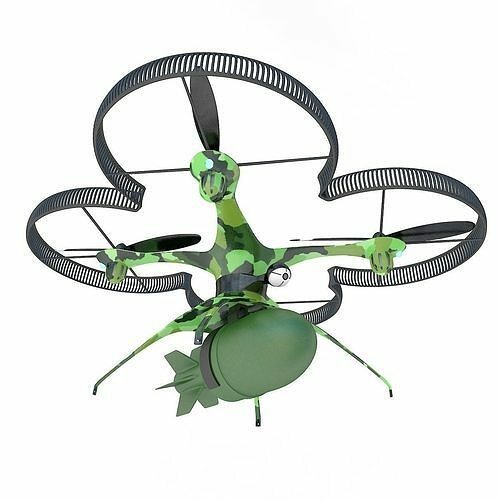 This is a high quality polygonal photo-real model of a generic military quadcopter with bomb that is suitable for any of your projects. The model was originally modeled in 3ds Max and rendered with V-Ray. Renders have no postprocessing. Objects are grouped and logically named for easy selection and management. The model is fully textured with all materials applied. All textures and materials are included. All materials are named appropriately. Model is scaled correctly and centered. System units - mm.